TROPICOs External Advisory Board (EAB) consists of expert practitioners from public and private sector organisations across Europe. We invited the two Norwegian members to reflect on the role of ICT for public administration, the opportunities and challenges resulting from digitalisation, and perspectives for the future. Eivor Bremer Nebben is a Senior Advisor in the Norwegian Agency for Public Management and eGovernment and Carlo Thomsen is a Specialist Director in the Ministry of Local Government and Modernisation. According to Thomsen, two factors have been crucial for digitalisation in the Norwegian public sector and administration. First, the development of technology has made possible a more effective task performance and a better distribution of resources across sectors and levels. Increasing budget limitations has led to a demand for more effective solutions, and hence investement in new technology to facilitate such needs. Second, the expectations of citizens and private businesses have evolved alongside these technological developments. Many services – for example banking services – have become more user-friendly. Users expect rapid problem-solving and direct feedback. The public sector has to meet these demands. Digitalisation and more coordinated services are the answer. Increased efficiency, coordination and more user-oriented services are therefore the main goals for the digitalisation in the public sector. Reforms are complicated processes, and the ICT-element is often not taken into account when deciding on a re-organization, and may be an important reason why some reforms drag out in time. There has largely been a political consensus over the digitalisation policy in Norway, probably because of a growing maturity and awareness of the importance of the policy field over time. 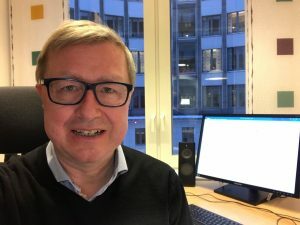 A basic understanding of what digitalisation means for public administration and a willingness to implement necessary instruments, has been lacking. However, there are signs that this is changing in a more positive direction. Currently, the attention is moving from the “T” to the “I” in ICT, with increasing attention towards what type of data can be provided, and issues concerning data-sharing. 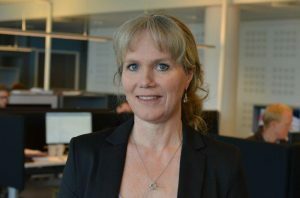 According to Thomsen, ICT was for a long time largely considered a technical issue, typically handled by an IT-department and an ICT director. ICT, however, is also very much a strategic and an organizational issue. Using digitalisation as a strategic tool requires leadership involvement and engagement, and attention towards opportunities that ICT can provide for reaching performance targets. Increasing strategic ICT competence in government ministries and agencies through targeted training programs has been necessary. Importantly, internal evaluations confirm that the strategic ICT expertise of top leaders within the public administration has increased. In addition to lacking competences there are also important structural challenges, Thomsen continues. The sector principle persists in the Norwegian public administration and creates important divisions across policy sectors. Digitalisation provides new ways to solve issues across the rigid sector boundaries. The exploitation of new technology may result in a more effective task-execution, improved goal achievement, and more user-friendly services. However, in order to do that, the public administration has to adopt a number of digital solutions that cut across sector boundaries. This can in turn necessitate re-organization and adjustment of existing sector boundaries. Increased awareness that ICT is not merely a technical issue is the key. If we are to exploit digitalisation’s potential for better performance in the public sector, we have to work in a different way. Interestingly, the Norwegian government appointed a new Minister for Digitalisation in January 2019, sending a strong signal that digitalisation is an important priority. “How can TROPICO contribute to new knowledge in this field?”, we asked. The research on open, innovative and collaborative governments in TROPICO promises a significant contribution to our understanding of, and possible solutions to, many challenges that public administrations face. The impact of institutional conditions, the relevance of ICT for innovation in the public sector, and the development of new collaboration practices and their role for legitimacy and accountability are all extremely interesting research questions. The declining level of trust in the public sector is an increasing problem among OECD countries. An important factor that underlines this is the question of whether or to what extent we are able to solve important public tasks. Trust is not given – one constantly has to put efforts to maintain and improve it. High public trust constitutes a good basis for a well-functioning society. Developing a public sector in such a way that both citizens and businesses are confident that the bureaucracy actually solves problems in accordance with the politicians’ promises, is an important step towards maintaining such trust. Collaboration, cooperation and digitalisation are essential measures for achieving this.